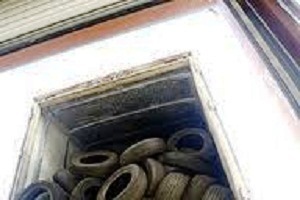 CHICAGO : The US Environmental Protection Agency(EPA) has reached an agreement with the Illinois-based tyre-burning electric generating facility on violations of permitted standards. The EPA had filed a notice against the facility in August 2010 on allegations of violation of the facility’s construction permit, including monitoring and reporting requirements and emission limits established for carbon monoxide, nitrogen oxide, sulfur dioxide, ammonia, particulate matter and opacity. A federal law suit was also filed during the same time. Geneva Energy LLC established in 2006 at Ford Heights had stopped its operations in fall 2011. According to the terms of the agreement, Geneva has agreed to completely close the facility. Also Geneva would withdraw all permits and permit applications submitted to Illinois EPA and surrender all sulfur dioxide allowances. Based on the financial information submitted, Geneva Energy LLC has been identified by the Government as insolvent to pay the fines.